George D. Robbins, age 59 of Milford, passed away November 6, 2018. George was born in Milford, July 13, 1959, son of the late John and Gertrude Hawkins Robbins. Georgie enjoyed fishing and was an avid New York Jets fan. He was well known for attending practices and football games at Milford High School and Milford Pop Warner. He participated at the Kennedy Center for many years. Georgie touched the hearts of everyone and he will be dearly missed by all. He is survived by his siblings, Mary Jane Perkins, Harriet Olszewski (Stanley), William Robbins (Gail), John Robbins (Robin), and Ruth Melita (Bob), and several nieces and nephews. Calling hours will be held Monday, November 12, 2018 from 6pm to 8pm at Smith Funeral Home, 135 N. Broad St., Milford with a service to be held at 7:30pm. Interment will be private. 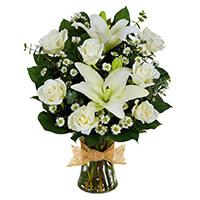 In lieu of flowers, memorial contributions may be made to Connecticut Hospice, 100 Double Beach Rd., Branford, CT 06405. 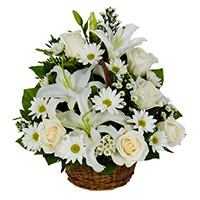 To send flowers to the family of George D. Robbins, please visit our Heartfelt Sympathies Store. The Emlyn R Hockin Family and Joe and Mike Imbimbo sent flowers to the family of George D. Robbins. Thinking of you during this time.